How to Get More Efficiency Out of Your Team? 2 Comments on How to Get More Efficiency Out of Your Team? A company can only be as productive and as efficient as its employees, therefore, if you want to see improvements in the overall productivity of the business, you will have to figure out ways to make your team/teams more efficient. While the exact details and applications of the methods will vary depending on the concerned business, here are some of the top strategies that have been tested time and again to be useful in making the workforce more efficient and productive. Let’s check them out briefly. Ownership and accountability are important tools to make your employees work better both as individual workers and as a team. The idea is to let them make their own decisions in regard to their share of the work, but also to hold them accountable for the result. The little autonomy which this provides to the workers creates a sense of responsibility as the performance of the entire team depends on his or her efficiency. The individual accountability on the other hand, lets the management figure out who are the least efficient employees and act accordingly. More importantly, ownership and accountability raise the self-esteem of each worker and as a result, they work harder and smarter. At its simplest definition, a Kanban system is one that lets everyone in the team visualize the workflow, as it progresses through various steps of the entire process until completion. Bottlenecks are automatically detected as a result of the visualization, making it possible for team members and managers to solve them faster. It is also a great tool to gauge the performance and efficiency of each employee/department/team involved in the project. Originally, physical whiteboards were used with sticky notes and color codes to visually represent the workflow, but digital Kanban systems have since replaced them due to the obvious advantages that come with having a system that can be accessed from anywhere in the world. Kanbanize further explains the Kanban board in more details, alongside providing helpful guidance regarding how the system can be used to boost the performance of any team. The larger a team is, the more essential it is to keep a line of communication open between the team members, as well as between the managers and the workforce. Irrespective of the field of business you are in, there will always be employees who are particularly talented and useful, so it is extremely important to hold on to them in your team. Recognize talent early on and try to hold on to them as best as you can. Of course, not everyone works best under the same circumstances, so the plan should be figuring out what works for them and then providing an ideal environment for these talented workers to work their magic. In fact, if you have low-performing employees with potential, you may try switching them into different roles or even changing their team to see if things improve. While the term “ideal” may mean different things to different companies, the basic idea behind it is that the workplace should be comfortable, safe, convenient, efficient, updated and free of partiality and favoritism, as much as possible. Related: Boost Your Productivity by Cleaning! When the team feels that they are being treated fairly and are being taken care of, it automatically makes them want to put in more effort. Finally, we have the oldest trick in the book, the incentive. 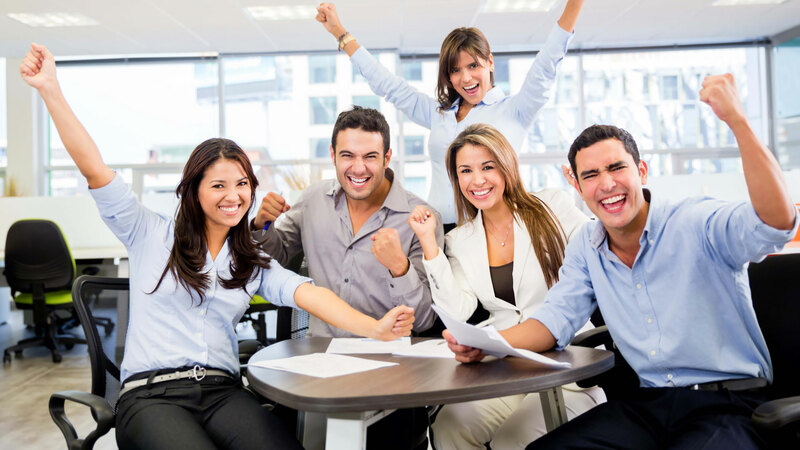 There is no better way to appreciate work than to give out incentives to the best performers in your team. It improves the team’s productivity in two ways. Firstly, it encourages the current performers to aim higher and secondly, the under performers know that they missed out on something, and therefore, a boost in performance even from them is often noted. As long as the incentives are given out in accordance with their respective performance and without partiality, they can work wonders for the entire team, as they strive to do better for themselves. Any organization that puts all the strategies we discussed into use will definitely see improvements in team performance, especially in the long run. You may even find that expanding the team is no longer necessary as a smaller, connected and more talented workforce will outperform a disorganized and inefficient team in most situations. How Business Leaders Can Enhance Their Team Productivity? I am a huge fan of Kanban board and visualisation of responsibility. Having led two startups, I realise that a lot of clarity can be achieved by earmarking ownership and responsibility to individuals. It not only fosters transparency, but also creates a sense of owning up to an activity which can go quite a long way in company growth.